I found this article raising the challenges facing carbon labeling interesting. Basically the point being, calculating the carbon emissions associated with the manufacturing and transportation of product sounds like a really great way for users to make informed decisions about the products they choose. But given the huge and extremely complex (and expensive) task of standardising the way these kind of calculations are made, it seems unlikely that it will catch on. Of course, the challenge we face with reducing our own footprint is that it is such an abstract concept to grasp. When you are a regular smoker for example, it's not long before you start wheezing and coughing and feeling like they might actually be some truth in the messages that tell you cigarettes are killing you. Maybe the promise of extreme weather, political and financial instability may have not been enough to get people to alter their lifestyles. But now we're actually seeing some of these things happening around us, maybe we'll start to see some change in the way people consume? Having been in and looked around the official site I see that 3,730 people registered there, but their Facebook group was far more impressive with 13,863 members! This says something about the efficiency of the Facebook format. The campaign was headed by a burning panda which popped up in various places around town. They made some quite nice little projections and filmed them. They also stenciled some funky burning panda graphics around town for good measure. It wasn't that dark, I have to say. 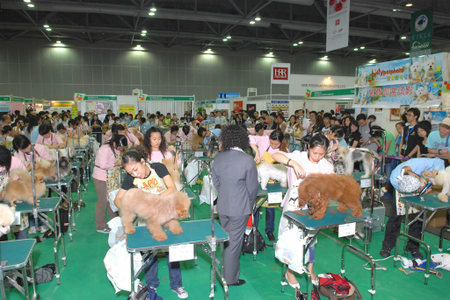 It seemed to me that largely, the event itself wasn't a huge success. People just didn't switch off. So what are we left with? If people can't be bothered to join in for an hour, were does that leave us? Did this event do enough to raise awareness? Will it prompt the kind of changes we need to make to avoid catastrophic climate change? Well, it's a start. And it's good that someone is doing something but personally, I'm doubtful. Don't get me wrong, I really really really think it's great that something happened. I just want people to wake up and get a bit more angry about it. Big changes. Now. That's what needs to happen. Maybe a bit of Alarmism would be a good thing? A group called The Alarmists want you to help draw attention to recent scientific evidence that climate change is much worse than we first thought. At the risk of sounding like a bit of an extremist, I have decided to write a short post about my views on pets. Now, I know there are many of you out there who might think I'm a little cold hearted or a bit of a kill joy for suggesting this but I feel I have a rational argument against pet ownership. Pets are an unnecessary luxury. Just to make it clear, I am referring only to household pets here of course. There is no doubt that keeping animals to provide us with food or as work animals is a perfectly sound thing to do. (this type of animal can also provide companionship too) but for the purpose of this article I am talking about animals we keep for pleasure. That's a lot of luxury. Imagine the carbon saving we'd make if we could just get over our obsession with keeping animals at home for our 'pleasure'. When you start to try and define just how much energy we use it starts to become significant. Does anyone else think amount of love (and energy) lavished on let's face it, dumb animals is totally disproportionate? Isn't it time we stopped pampering our own egos and started to think rationally about animals again? Am I just too grumpy for words or what? John Grant posts his recent thoughts on Green Marketing here. It's based on a talk he gave last week in which he outlines his thoughts since completing his book The Green Marketing Manifesto. As always it's excellent reading and deeply motivating. I get the impression that most Danes, quite rightly to some extent, see Valentines Day as a bit of a marketing ploy - a recent cultural import from the States or UK. However, like a lot of other recent cultural imports, it seems to be gathering momentum. So with the wastefulness of Christmas still fresh in my mind (there's a pile of rotting Christmas trees in our yard which serves as a daily reminder) I am compiling a list of suggestions for green alternatives to the ubiquitous bunch of red roses and chocolates. 1. Compose your own love song. You don't have to be a musical genius to sound good these days. If you're a Mac user, Garageband is packed full of enough interesting loops and effects to have even the most inexperienced composer sound good. There's also all kinds of interesting web-based options. Try for example soundjunction. Start writing those lyrics. 2. Be his/her slave for a day. The promise of unconditional 'service' for 24 hours could turn out to be a lot of fun for both of you. Just remember to stipulate that any activity undertaken must not be environmentally damaging in any way. 3. Say it with pictures. 4. Say it with words. Why not write a poem? If you're lacking inspiration you could always use this. "My heated front bottom leaps to my bikini. I wait in the moonlight for your secret choir so that we may vibrate as one, front bottom to front bottom, in search of the magnificient red and mystical tiger of love." 5. Restore something they love. There you go. 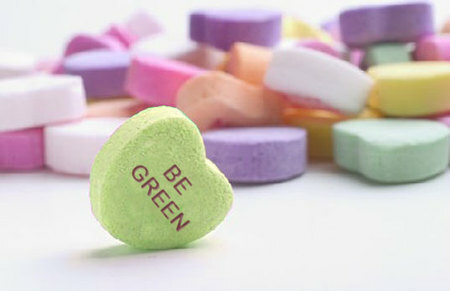 Five green Valentine tips so you can declare your burning love without contributing to global warming. Please feel free to add to this list if you have any other bright ideas. The new Danish Ministry of Climate and Energy has taken to innovative communication measures to make climate concerns a more emotional and personal concern of the Danish citizens. The ministry hired 10 prominent Danish poets to each write a poem about the weather and climate. Besides the theme, the poets had complete artistic freedom. How bold and fun of a governmental body to team up with artists to get a message through. Granted, poems are not the highway to a broad Danish audience, but the concept has made a lot of noise - and I will definately rush out to get a copy. If nothing else, I think the title rocks: Hallo jeg er vejret / Hello I am the weather. Sweet. This post from Russell Davies really captured my imagination. The whole idea of the world becoming a place were we might need to re-learn a lot of forgotten skills seems a little daunting. In this era built on cheap-oil we've become so used to the idea that if something doesn't work, you simply replace it. Clearly, this mentality simply isn't going to see us through. At some point we're going to run out of options and start re-thinking the way we consume. I think Russell is right in pointing this out. I too have had a nagging feeling about this. I have had similar feelings about the skills I'm going to be able to pass on to my kids. I can repair a puncture though! That's about it. However, when I'm feeling depressed about my lack of skills in this area I try and look at it from another point of view. The kind of enormous change we're talking about here will also require thinkers - ideas. Although I do believe things might get pretty rough and necessity will replace aspiration in many cases, I do not believe people will instantly forget about brands. They'll still want brand experiences and they still identify themselves with interesting concepts. How, for example could you make it cool to repair your television or sofa? Might it become more of a statement not to buy something in the first place and how might we brand this? Russell, has previously blogged and talked about delivering brand experiences without delivering a product. I can see there's lots of scope for really exciting stuff here. Actually, the sort of challenges that lie ahead of us represent a brilliant opportunity for people like us. We have the opportunity to be radical. We have in fact the opportunity to wipe the slate clean and re-design life and the role brands have. Now there's a creative brief. I am feeling better about my poor carpentry skills already. I must have missed this first time around but thanks to one of those 'ten best ... of 2007' lists I noticed it. It's a business putting together green starter kits. I like the idea and it's cleverly put together. The whole idea of grouping these products is really appealing both from the users point of view but also from the manufacturers end. The sum is much greater than the parts. Oh, and it's much more energy efficient. Shopping online is great idea if you want to educe your carbon count as Tao Oliveto points out. Most of us realize there are changes we should make in our lives to become more environmentally friendly, but overcoming inertia and actually doing it can be another matter. Now a few different companies offer starter kits to help make those changes happen. Greensender, which just launched in October, sells green gift boxes designed to help people start embracing simple green practices. Each Greensender box contains a reusable aluminium water bottle, a reusable organic cotton grocery bag, an energy-efficient compact fluorescent light (CFL) bulb and an organic cotton T-shirt—all selected for their easy integration into people’s everyday lives, Greensender says. Prices are USD 49.99 for the Big Greensender Box or USD 39.99 for a version without the T-shirt; individual items are available separately as well. 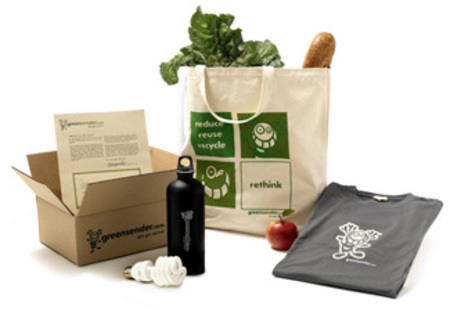 Logo-emblazoned versions can also be purchased for corporate or event purposes, and New Jersey-based Greensender donates at least one percent of its sales to 1% For The Planet. Quite a nice little idea and a twist on another trend Springwise are calling Tryvertising. Thanks to Greenway Communique for pointing out these interesting stats. 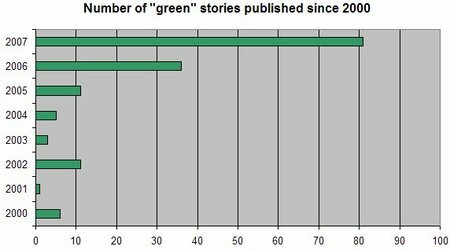 We all knew that green business issues were getting talked about more these days but...woah, I didn't realise how much!